Today at Yale Appliance & Lighting in Framingham–COOKIES! I’m off to Yale Appliance and Lighting in Framingham again today from 12-4 and so excited to make cookies! With the holidays approaching, who doesn’t need some new cookie ideas? Today I am making three of my favorite cookies of all times, two of which bring me right back to my childhood for sure. First, a cookie I call Double Duty Molasses Ginger Cookies. 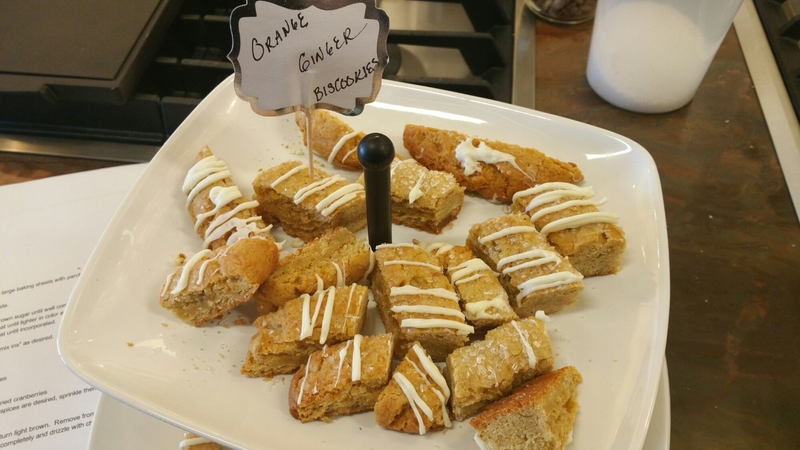 They come by this name because the dough can be used for both a rolled cookie and a gingerbread person by adding a little more flour to the recipe. You can up the spices as I always do as I like a nice spicy cookie and add or subtract any of the warm spices that you like. 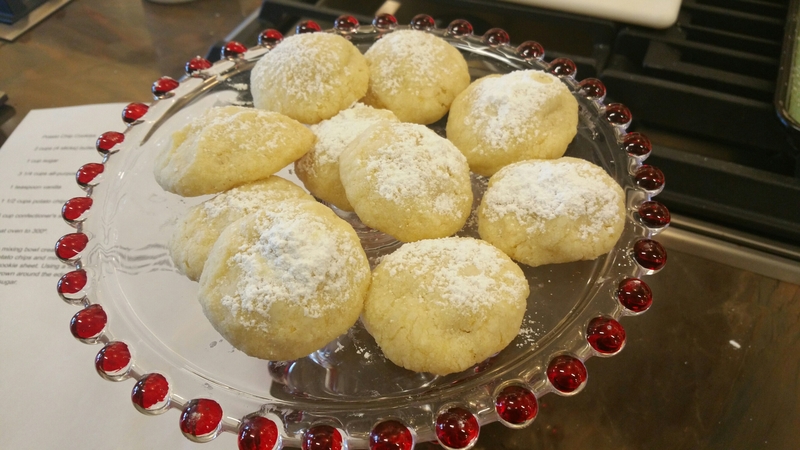 This cookie emits such an amazing fragrance when baking and the aroma says “holiday” to me! In a medium bowl, sift together flour, salt, baking soda, cinnamon, ginger, nutmeg and cloves. Set aside. In a large bowl cream shortening and granulated sugar until light and fluffy. Beat in egg and molasses until well blended. Slowly add flour mixture to creamed mixture and beat again until well combined. Tightly wrap dough in plastic wrap and refrigerate for at least one hour. Preheat oven to 375 degrees. Cover four baking sheets with parchment paper. In a small bowl, place sparkling, granulated or turbinado sugar. Roll dough into 1” balls and roll balls in sugar to coat. Press balls slightly into sugar if necessary. Bake 12 cookies per sheet for 10-12 minutes or until tops are slightly cracked and cookies are firm to the touch. 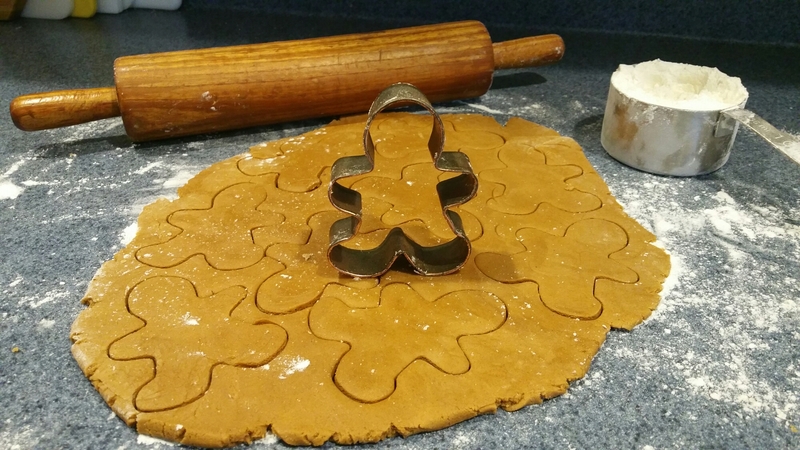 If you are making gingerbread cut outs, bake for 11-13 minutes until edges are slightly browned. Next, THE cookie that brings me right back to being a little girl in my Mom’s kitchen. Mom would make these cookies only once a year and with a pound of butter in the recipe, you can see why! They so rich and decadent but so worth it! In a large mixing bowl cream butter and sugar. Slowly blend in flour and vanilla. Add crushed potato chips and mix well. Drop by rounded teaspoon, 2 inches apart onto ungreased cookie sheet. Using a fork, flatten each cookie slightly. Bake 18-20 minutes, or until light brown around the edges. Remove to wire rack to cool. Sprinkle with confectioner’s sugar. Preheat oven to 350 degrees. Cover two large baking sheets with parchment and set aside. In a large bowl, cream butter, sugar and brown sugar until well combined and lighter in color. Add eggs, one at a time and vanilla extract. Beat until lighter in color and well mixed. With mixer running on low, add dry ingredients and beat until incorporated. Divide dough into 4 portions and knead in “mix ins” as desired. Form into 4 loaves and bake two loaves to a sheet. Bake at 350º for approx 30 min. when loaves turn light brown. Remove from oven and cool for 15 minutes. Slice on the diagonal. Allow to cool completely and drizzle with chocolate if desired. In a small microwave safe bowl, combine chocolate and shortening. Cook on high power for 1 minute. Remove from microwave and stir until smooth. Spoon in to a small plastic zip top bag, seal bag, snip corner of bag and drizzle over ‘biscookies.” Allow chocolate to harden before serving.